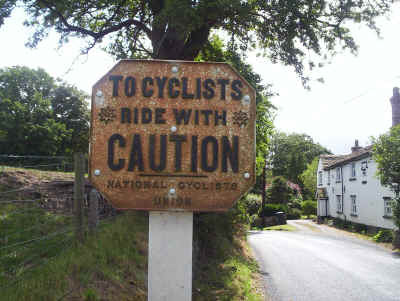 For the inquisitive cyclist, our British countryside is overflowing with a wealth of clues to our history and heritage. In addition to our rich flora and fauna, each town and hamlet bears witness to lifestyles long since past. 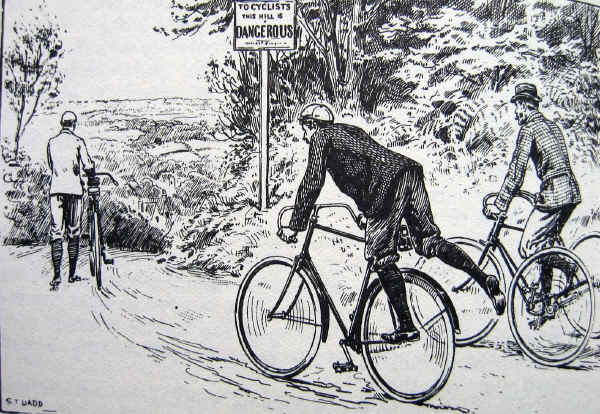 Consider the situation in the late 19th century, when the majority of country roads in this country were composed of unbound stone surfaces and presented a considerable hazard to the emerging breed of cyclists on their high centre of gravity machines with primitive braking systems. Sign posting was haphazard and consisted of milestones and finger posts found only on the busiest highways. 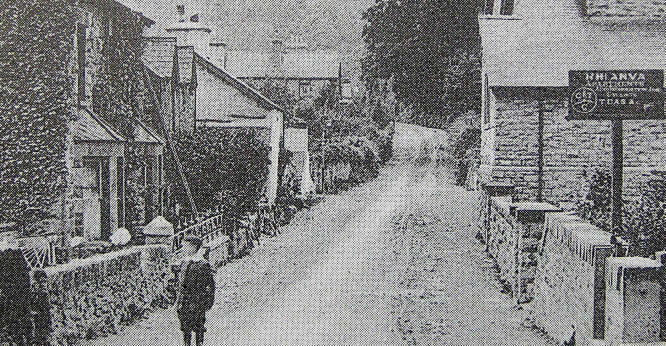 Disaster awaited the unwary cyclist if a steep hill was encountered in unfamiliar territory. Faced with these conditions, J George Jnr wrote to the newly formed Bicycle Touring Club in 1878 on the need for signs to warn cyclists of hazardous conditions ahead. It was later through the efforts of the Earl of Albemarle, who became President of the National Cyclists' Union, that a start was made in erecting a definitive system of warning boards. 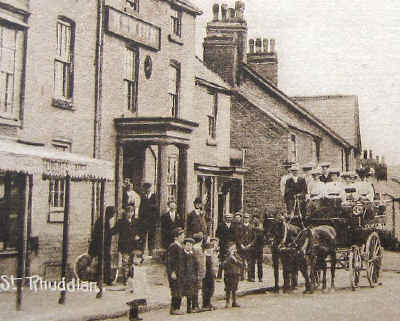 A rare example may be found at North Rode, Congleton, Cheshire. enthusiasts assuming responsibility for their erection and maintenance. The boards read 'To Cyclists this hill is Dangerous. 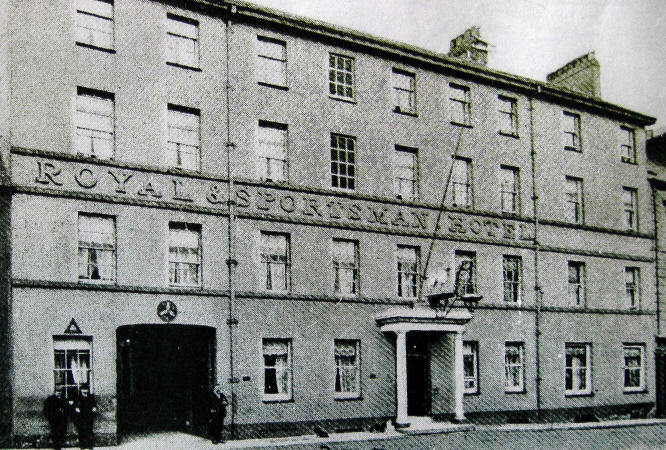 National Cyclists' Union, Cyclists' Touring Club'. Rare examples still exist. These signs were originally white lettering on a red background. 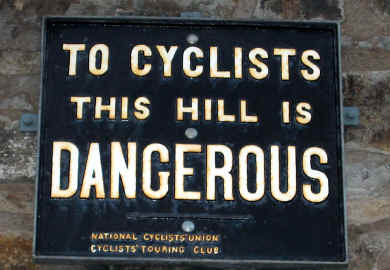 In 1897, on less severe hills, boards with 'To Cyclists ride with Caution - Cyclists' Touring Club' were brought into use and had black letters on a yellow background. Other forms of danger signs were later proposed but never saw the light of day. In 1902 smaller stamped steel plate signs were introduced. 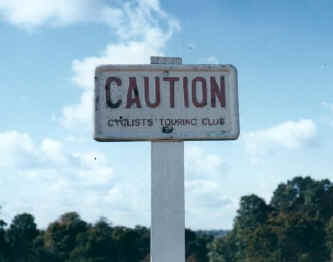 They were of two kinds: 'Danger - Cyclists' Touring Club' (White letter on a red ground) and 'Caution - Cyclists' Touring Club' (white letters on blue ground). 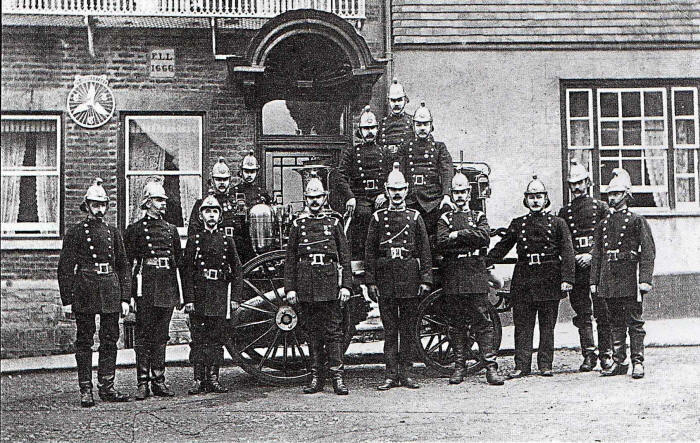 Examples were to be seen at Dial on the Cape Wrath road, and in Richmond Park, Surrey. The latter still exists and local CTC guidance has recently been sought on its original colouring. 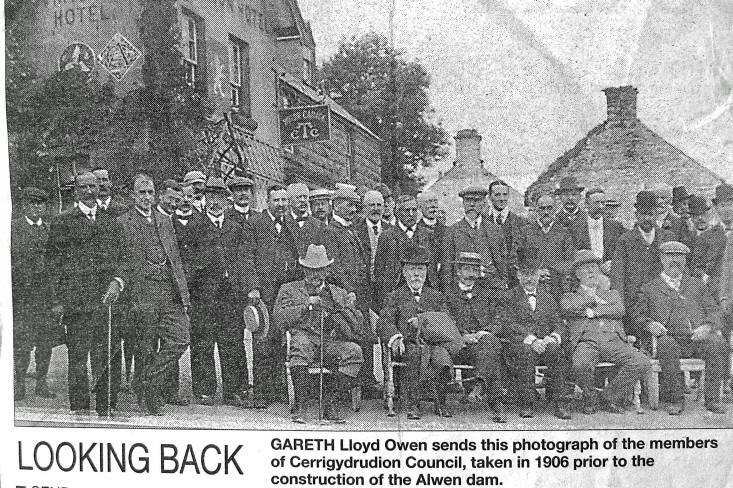 The writer also has a transparency of a badly corroded one near Tremadoc in the 50s - he wonders what happened to that one. A survey in 1902 revealed that 2,331 Danger and 1,989 Caution boards were in existence. 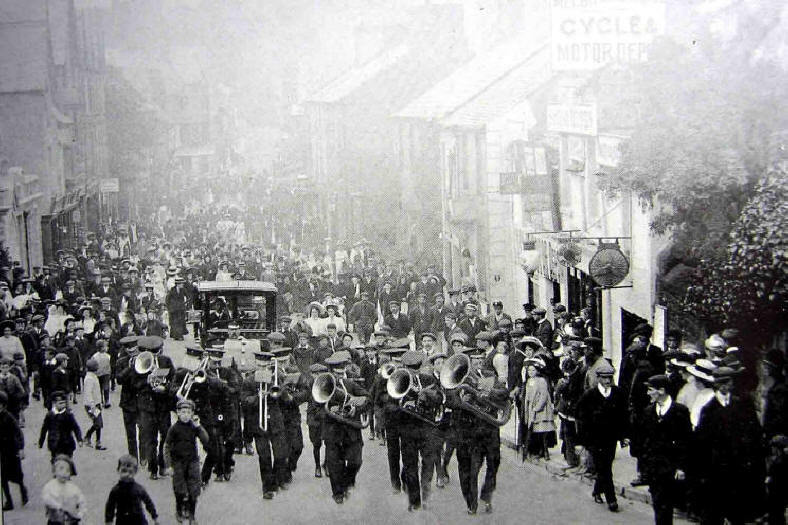 With the Motor Car Act of 1903 the demanding work of erecting warning notices was transferred to county councils, but completion of this process did not take place until 1909. Even after that time applications were being received from local officials for new signs, replacements, or repair. New standard road signs were introduced with the Road Traffic Act of 1930; the CTC still provided a few new style signs with an inlaid club badge below a warning triangle. One such sign was at Tattle Bank, Claverton, Warwickshire, and was replaced with a modern triangular sign. CTC member Bob Kemp of Coventry recovered one from a local corporation tip. Another ingenious move was made by some Lothian DA members who replaced a rusted 'Caution' board with a facsimile in aluminium. This may be seen on the south side of Holyrood Park, Edinburgh. In 1956 the CTC did not contest the removal of its name from the list of organisations permitted to erect road signs. 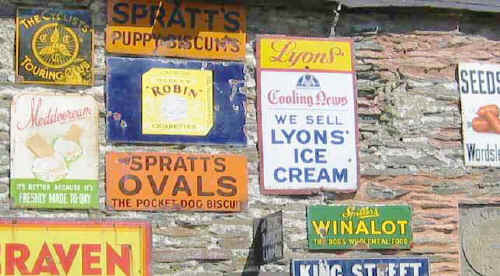 In 1981 the concession was restored, since when new signs have been used on several occasions. Permission has been gained to erect a sign at London's Albert Gate crossing. 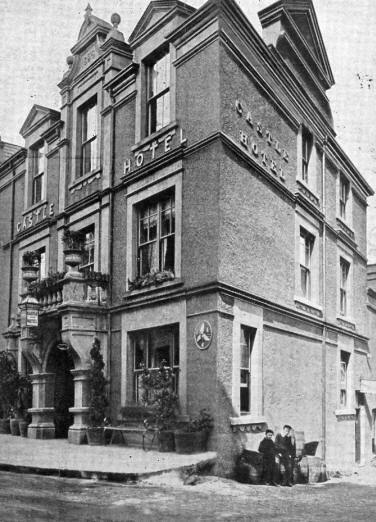 Entering into agreement with hotel proprietors for fixed and moderate charges was not one of the CTC's original objectives, but was suggested in Stanley Cotterell's letter of August 1878 to those signifying their intention to join the Club. 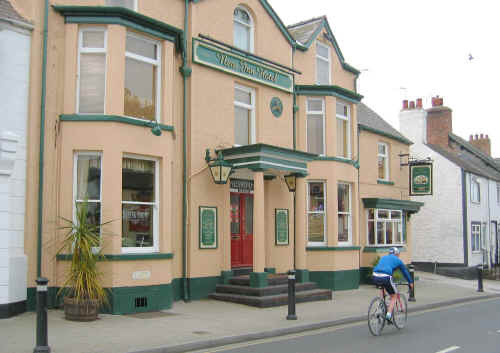 It was a great attraction to join the club as no list existed of recommended hostelries. 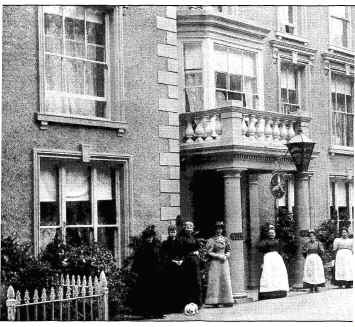 By the issue of the Monthly Circular of February 1879 it had been decided to list what were termed 'headquarters hotels' in important towns in 'England and elsewhere'. 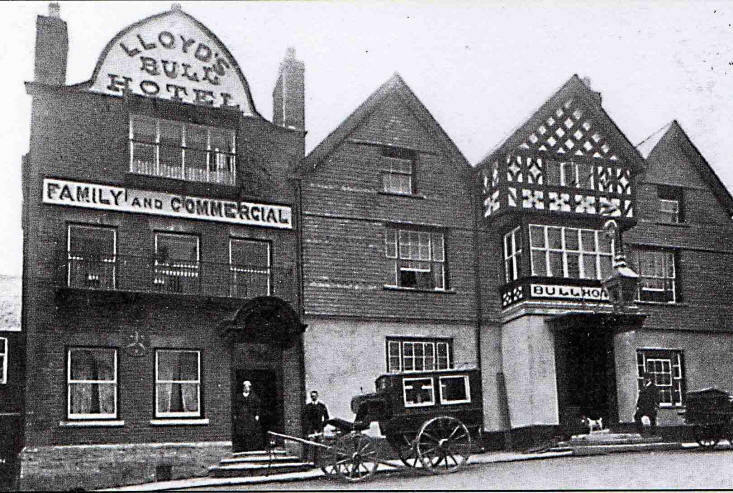 Within two years 785 hotels were under contract with set tariffs such as bed (two shillings) and breakfast with eggs (one shilling and sixpence); some even provided special day rooms for the exclusive use of Club members. 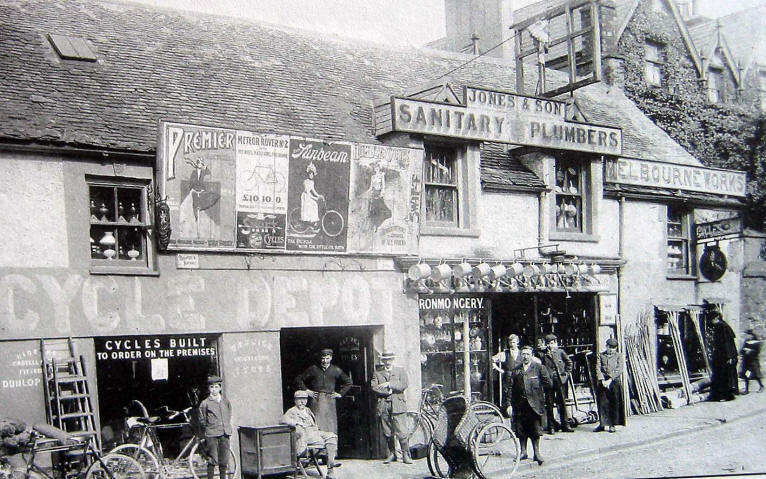 Indeed some private signs were erected, some of which were misleading, but until the CTC became incorporated in 1887 little could be done to stop this infringement of the Club uniform and badge. 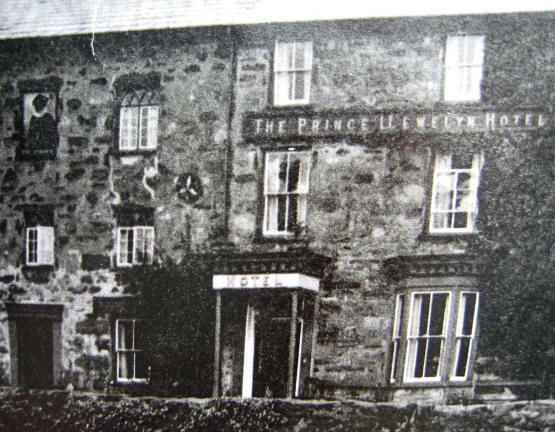 Probably the most elaborate private sign, shown in the book 'The Romance of the Cyclists' Touring Club', was at the King's Head, Kirkby Stephen, Cumbria. 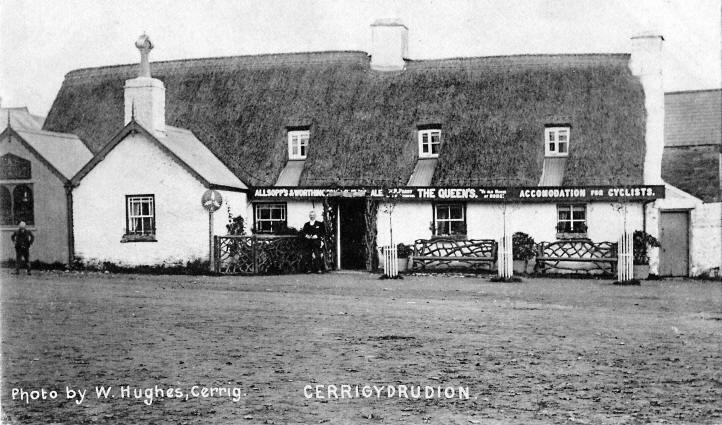 It is believed this was possibly lost in the 1930s. 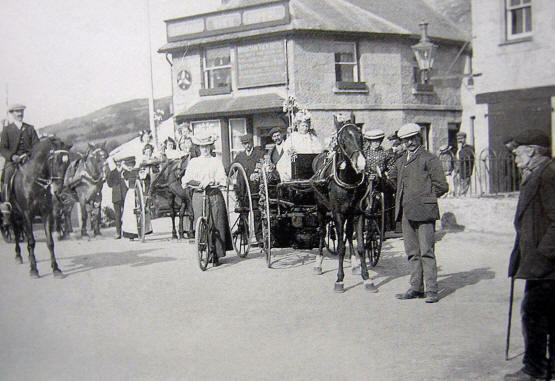 In 1895, because of the disapproval of some proprietors, discrimination between caterers was abolished but was not completely removed until 1899, when existing contracts expired. New signs were issued without the type of establishment being marked. Between the two World Wars 20'' square embossed CTC plate signs were provided. Interestingly, during this period, which saw the growth in importance of the motorcar, motoring organisations also began to install road signs. Indeed in the 1920s the Royal Scottish Automobile Club erected signs, made of wood for economy, which aimed to remind motorists to warn of their approach. It comprised the word TOOT, cut out from a board, and reading the same from either side. This meant that only one sign was necessary for each location. But unlike CTC signs, few, if any of these, are likely to have survived. After the Second World War, CTC continued to use enamel signs. Self-adhesive plastic signs for windows began to be introduced, however; but as late as the 1970s a 16'' diameter circular enamelled metal sign was still replacing the square one. In later years the official CTC logo has changed, although such is the affection for the old 'Winged Wheels', it continues to be used in special circumstances. 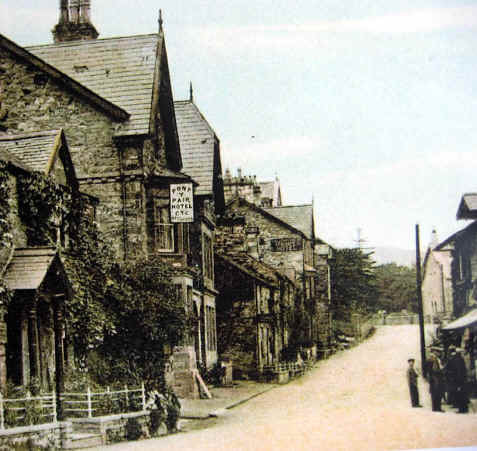 The original cast iron signs were made to last, but surely there can be few towns or villages where two original cast iron signs may be seen a few paces apart, as is the case at Rhuddlan, Denbighshire. Each must be well over a century old. 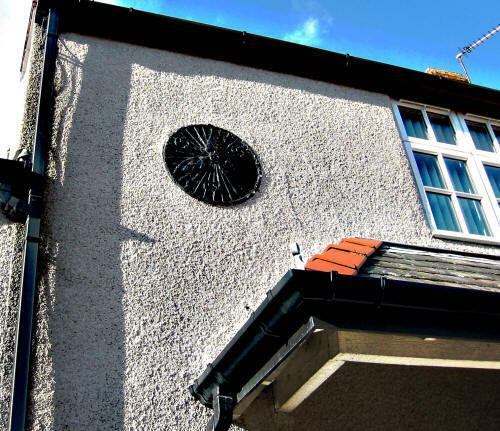 This Winged Wheel is located less than 100 yds from the New Inn at Rhuddlan. It constitutes the only example in the UK of two plaques in the same street. Even two in the same town is very rare. 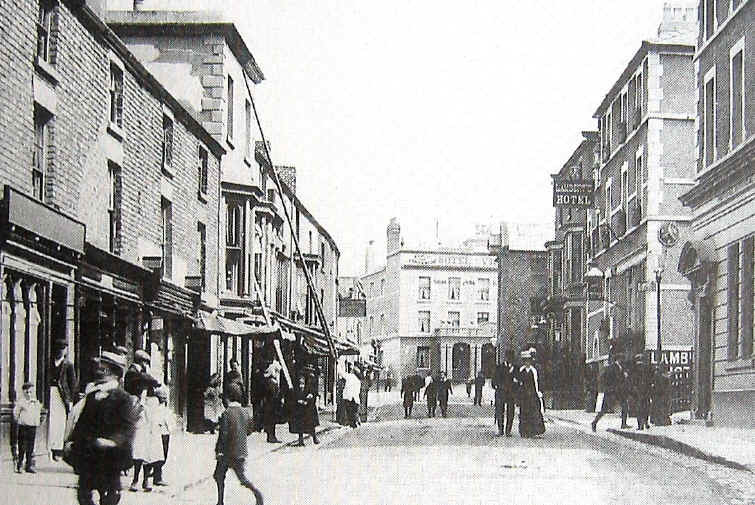 Now a private house, this was once an inn serving the needs of this former busy quayside, where vessels up to 100 tons docked. Note the plaque at some point in its history has swivelled out of true. A CTC Winged Wheel 'Repairer' sign (right). 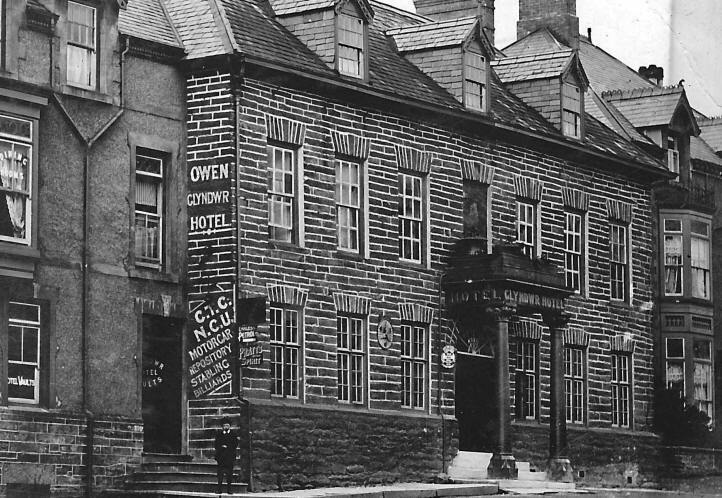 Formerly located on the premises of Jones and Son, Conwy. These signs are now extremely rare. Only one example is currently known to exist in Wales. 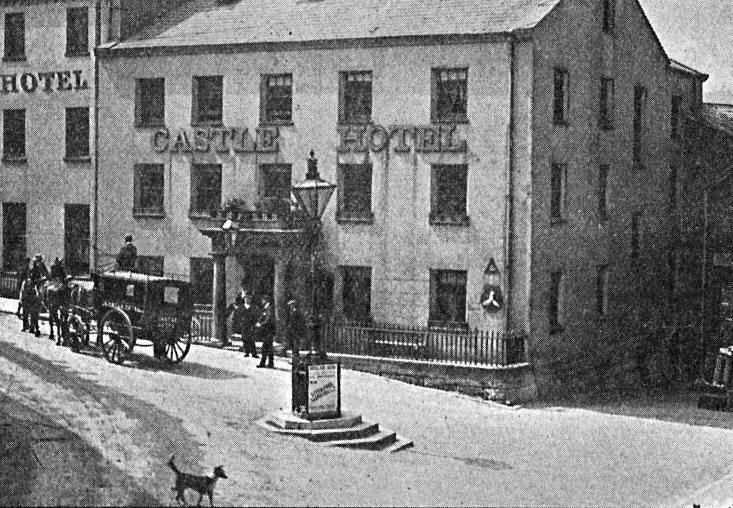 The Mountain View Hotel, Mochdre 1905. No evidence is available of the circumstances of when, or for what reason, this Winged Wheel sign was removed. 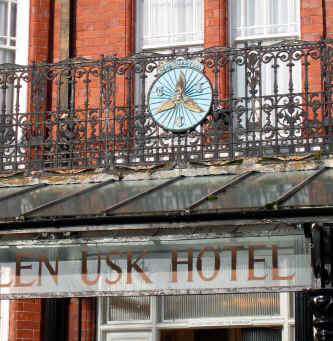 Glen Usk Hotel, Llandrindod Wells. 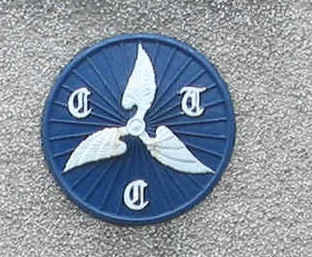 A replica of a Headquarters CTC Winged Wheel sign. 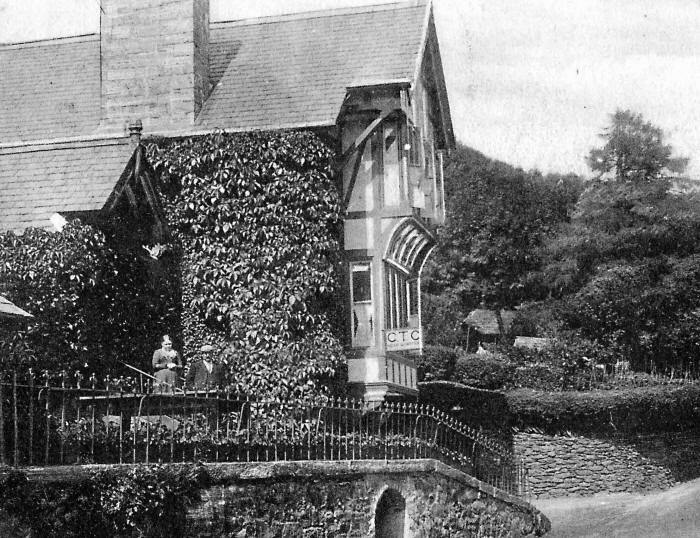 Bont Ddu Halfway House, near Dolgellau. Winged Wheel not visible, but likely to have been seen from another angle. 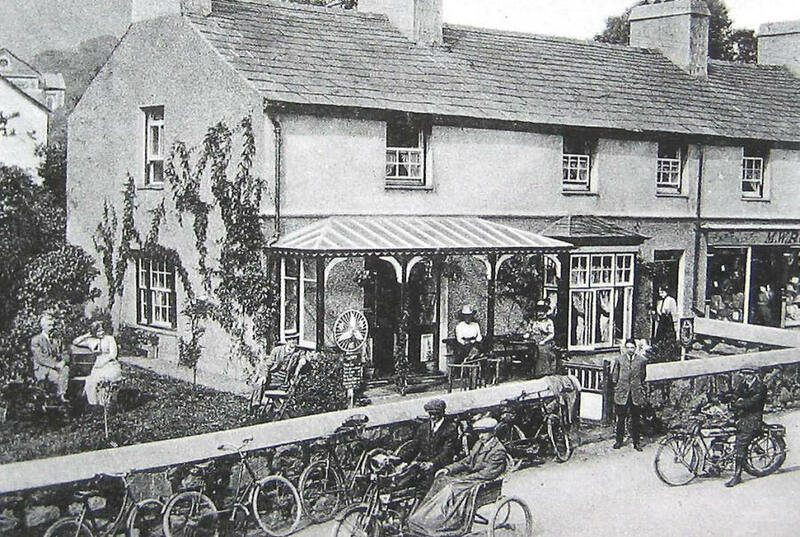 White Lion Hotel, Bala: In 1888 CTC began awarding Winged Wheel plaques to denote 'appointment' status. 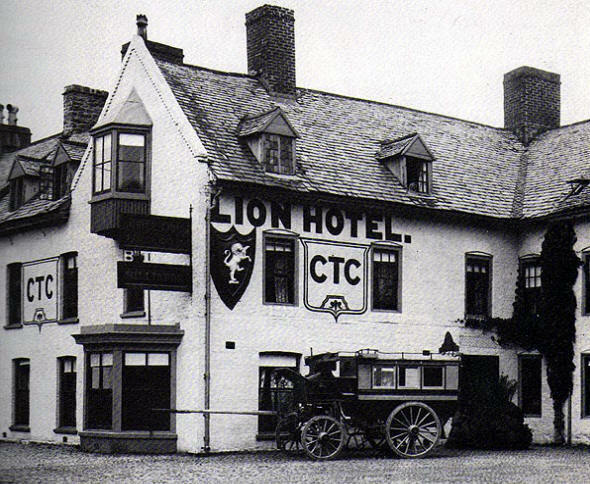 Both before and after that year, some hotels and catering establishments used the intiials 'CTC'without consent. This practice persisted into the 1930s. Daniel Irwen writes:- This was a CTC Headquarters. 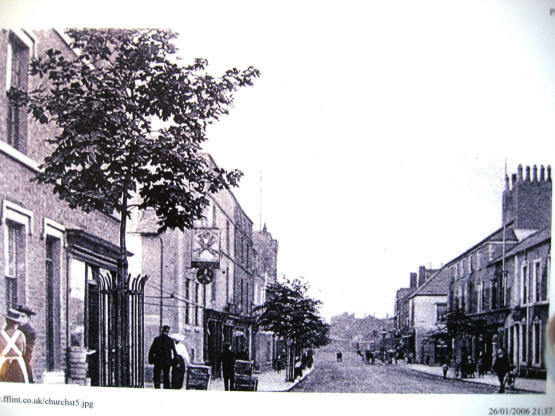 It was situated on the High Street, opposite the Cathederal. It was demolished about 1995 and replaced with a Littlewoods store, and later New Look. The CTC logo in the window of the Blue Moon Cafe, Chester, is the direct descendant of the CTC Winged Wheel. 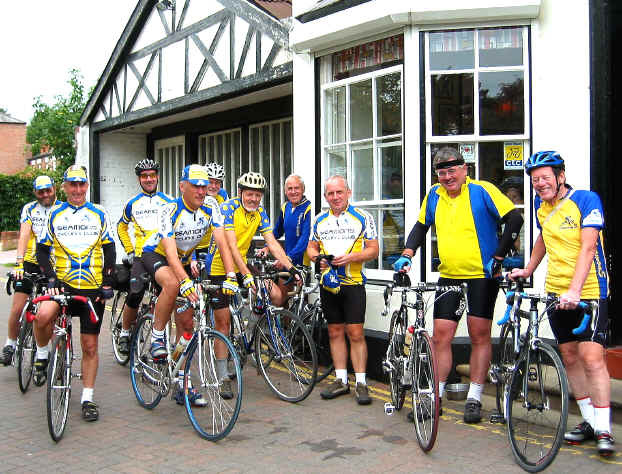 This friendly bunch are members of the Seamons Cycling Club, Altrincham, Cheshire. The author gratefully acknowledges source material from an article by the late Karl Briggs, published in the former CTC journal 'Cycletouring' in June/July 1983. 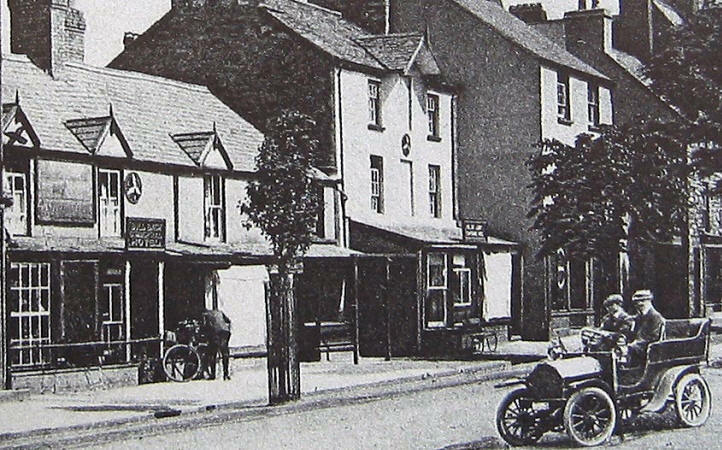 Also thanks to Prestatyn historian, Harry Thomas, for the use of the vintage image of the NEW INN. For the UK index of sightings of the Cyclists Touring Club 'Winged Wheels' , CLICK here.